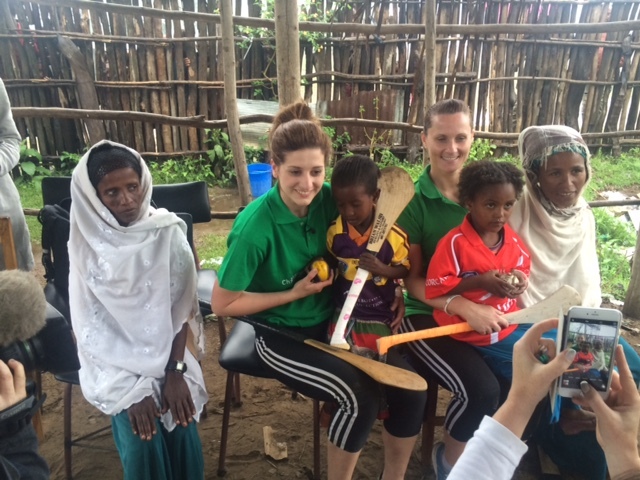 A packed visit to Ethiopia comes to an end for our Camogie child Ambassadors Aoife Murray and Mags D’Arcy. A week that saw them travel to our programme areas and meet some of the kids who will directly benefit from our Dream Bike initiative. 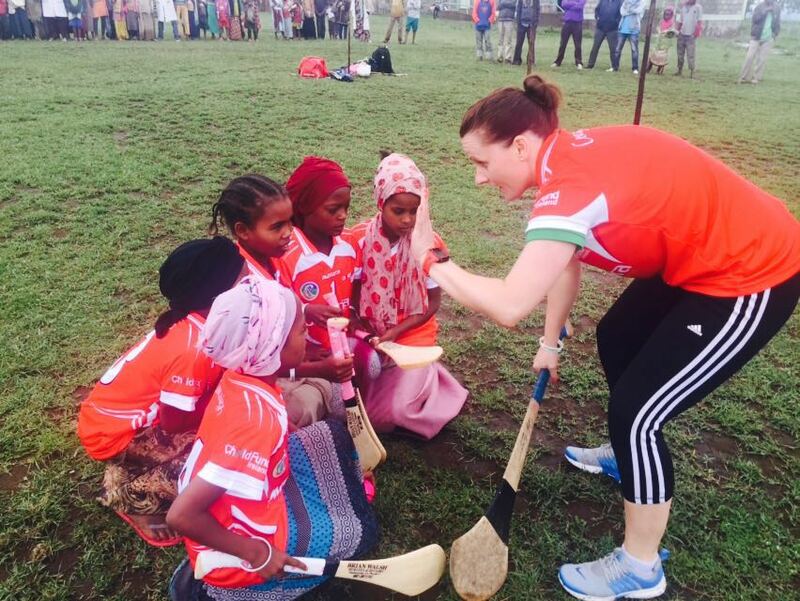 Aoife and Mags are unlikely to forget their visit to Ethiopia and hopefully neither will the children they met, as together they learned all about one of Ireland’s fasting growing sports, Camogie! 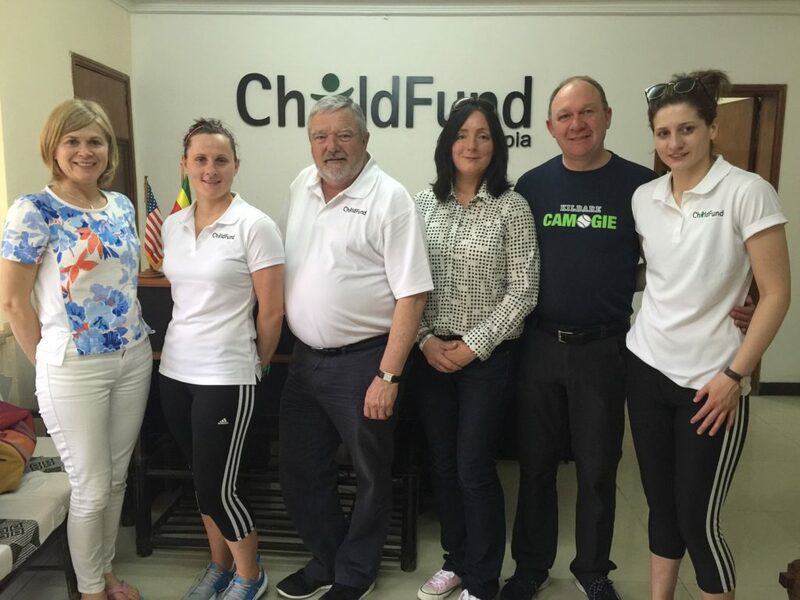 The girls began their trip in Ethiopia with a visit to the ChildFund offices in Addis Ababa were they were briefed by local staff about their visit to our programme areas. The main object of the visit was to raise awareness about the partnership between ChildFund Ireland and the Camogie Association, and to promote our Dream Bike campaign to help give vulnerable girls the best shot at a stable education. With children regularly facing gruelling journeys on foot of up to 6 miles or more just to get to school, the provision of bikes can make a significant difference to ensuring children attend school regularly. Much more than that, the bikes also take away some of the dangers that can be faced by children on long, exhausting journeys to school, from wild animals and even child traffickers. A bike provides a measure of independence for a girl and the confidence to believe she can obtain a good education. It also allows children more time to do what kids should be doing (after they have completed homework and chores!) namely, playing with their friends and having fun. 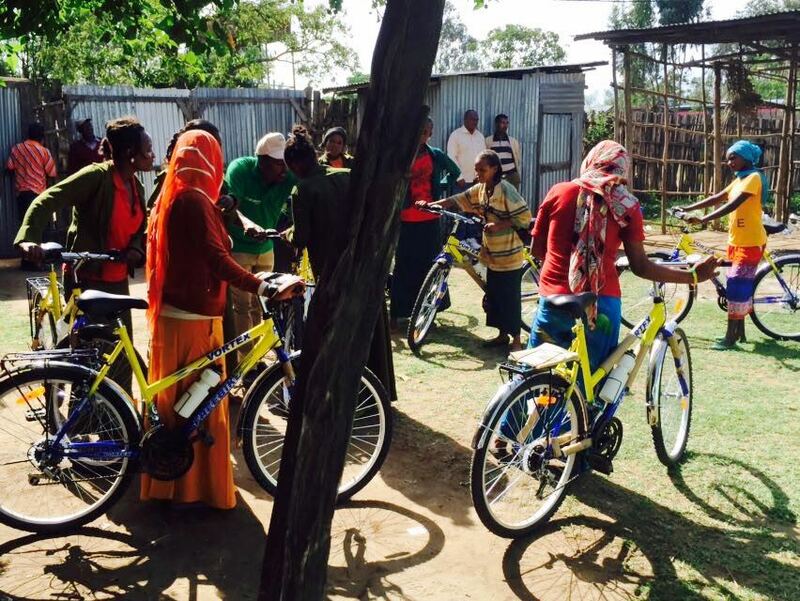 On Tuesday the team travelled to Ropi in the Siraro District of Ethiopia where Mags and Aoife were able to meet their sponsored children, and to meet other children who received some of the first bikes to be supplied as a result of the Dream Bike campaign. After this there was the small matter of a Camogie game to be played and Cork v Wexford rivalry to be played out on the fields of Ethiopia! Aoife and Mags lined up their respective teams, clad in country jerseys and the children had a fun time learning about the game, and what a Slitor and Hurl are for! Our Chair Brendan Kenny officiated the match which was tremendous fun for all concerned and a fantastic advert for the great game of Camogie. The visit of our Camogie Ambassadors to Ethiopia was documented by RTE for broadcast on the Nationwide programme. Stay tuned for updates on broadcast times when we have them.